Albania is situated on the Balkan Peninsula in southeastern Europe. Although it has seldom existed under its own rule, and has been occupied by foreign powers for most of its history, the country has moved from a Communist system to a parliamentary democracy, with a prime minister and president. During the Cold War, Albania’s Communist government, led by longtime dictator Enver Hoxha, was hostile towards the United States, leaving the two countries without formal diplomatic ties for more than 50 years. In the 1990s, relations between the US and Albania began to normalize. Also during the 1990s, Albania became involved in the crisis in neighboring Kosovo, a largely ethnic Albanian territory inside Serbia. Hundreds of thousands of refugees flooded into Albania from Kosovo as a result of attacks by Serbian forces and air assaults by NATO on Serbian targets. Today, Albania suffers from human rights problems, including poor prison conditions, police corruption and human trafficking. These concerns have not prevented the United States from being supportive of the country’s efforts to join NATO and the European Union. Lay of the Land: Situated on the west coast of the Balkan Peninsula in southeastern Europe. The rugged hills and mountains that cover about 80% of the country give way to a small but fertile coastal plain. Religions: Sunni Muslim 48.8%, Albanian Orthodox Christian 20%, Bektashi Muslim (a liberal branch of Shi'a Sufism) 16.3%, Roman Catholic 10%, other (Baha'i, Jehovah's Witnesses, Mormon) 0.4%, non-religious 4.5%. Active religious participation is low, between 25%-40%. Languages: Tosk Albanian (official) 81.9%, Gheg Albanian 8.5%, Romani (Vlax, Macedo) 3.1%, Greek 1.7%, Macedonian 0.4%. The Albanian people are descended from a group called the Illyrians, who settled in the Balkans in 2000 BC. The Greeks arrived in the 7th century BC, trading peacefully with the Illyrians and taking control of the south (Greece still has a claim on this area today). Albania fell under the control of the Roman Empire in 165 BC after the Romans sent 200 warships to claim the region. When the Roman Empire split in 395, the Byzantine Emperor exerted control over the area now known as Albania. But the country did not come to have its present-day name until the 11th century, when Byzantine Emperor Alexius I Comnenus first made reference to it in that way. From 1385 to 1912, the Ottoman Empire ruled Albania. Many Albanians converted to Islam, while others emigrated to Greece, Italy and Turkey. The nation briefly enjoyed self rule from 1443-1478 when Albania’s national hero, Gjergj Kastrioti Skenderbeu, staged a successful revolt. However, the Ottoman Empire eventually retook the country. In 1878, the League of Prizren established the ideas that helped form the Albanian nation state and the first Albanian alphabet. This updated the original language, which had survived despite hundreds of years of being outlawed under Ottoman law. By the early 20th century, the Ottoman Empire had been sufficiently weakened and was no longer able to suppress Albanian nationalism. On November 28, 1912, Albanians issued a proclamation declaring their independence, and the new country’s borders were established in 1913 and later upheld at the Paris Peace Conference in 1919. There, President Woodrow Wilson dismissed a plan by various European powers to divide Albania among its neighbors. However, the plan was put into effect anyway, and many Albanians were killed in the process, as they found themselves part of what is now Serbia, Montenegro, Greece or Macedonia. The country was self-governing from 1920 to 1939, until Albanian King Ahmet Zogu established diplomatic relationships with Italy’s fascist leader, Benito Mussolini, who quickly invaded Albania when World War II broke out. The Italian and German armies occupied Albania during World War II, and the Communists, led by Enver Hoxha, led the resistance against the occupiers. By October 1944, the Albanian rebels threw the Germans out and consolidated their power, proclaiming the People’s Republic of Albania in 1946. Assuming complete control over the government, Enver Hoxha preserved Albania’s boundaries for the next 40 years. However, the general population paid a heavy price for this. They were subjected to purges, shortages, repression and civil and political rights, a total ban on religious observance and increased isolation. Albania was run according to a strict Stalinist ideology and withdrew from the Warsaw Pact in 1968. The government cut ties with its last remaining ally, China, in 1978. Hoxha died in 1985, and Communism fell in 1991, bringing major changes to Albania. The country struggled to overcome its isolation and lack of development by seeking closer ties to the West. They also sought to establish basic democratic reforms, and the introduction of a multi-party system of government. The Democratic Party carried the country’s 1992 elections, and Sali Berisha became the first democratically elected President of Albania. However, since much of Albania’s government infrastructure came from differing ideologies, the result was political gridlock. Adding to Albania’s troubles were unscrupulous investment companies, which defrauded investors with pyramid schemes. In 1997, many Albanians were left bankrupt as companies collapsed, and many blamed Berisha. Armed revolts broke out all across the country. Public works were looted, and weapons depots were raided. The magnitude of the revolt alarmed the international community and prompted swift mediation. A UN Multinational Protection Force restored order, and an interim national reconciliation government oversaw the general elections of June 1997. These elections returned the Socialists and their allies to power. President Berisha resigned, and the Socialists elected Rexhep Meidani as President of the Republic. For the next several years, several short-lived Socialist governments succeeded one another. However, the country’s democratic infrastructure was strengthened by the formation of additional political parties, the expansion of media outlets and the establishment of non-governmental organizations (NGOs) and business associations. In 1998, Albanians ratified a new constitution that guaranteed the rule of law, as well as human rights and religious freedom. In the late 1990s, violence broke out in neighboring Serbia, which included a largely Albanian enclave known as Kosovo. For years the Kosovar Albanians have clamored for their independence from Serbia, which resisted any attempts by separatists to break away and possibly unite with Albania. Serbian President Slobodan Milosevic was determined to crush Kosovo’s independence efforts and sent in the Serbian army. Coming only a few years after the bloody conflict in nearby Bosnia, the crisis in Kosovo alarmed European and American leaders. Continued persecution of the Kosovo Albanians led to the start of NATO air strikes against targets in Kosovo and Serbia in March 1999. Meanwhile, Serbian forces pursued a campaign of ethnic cleansing against Kosovo Albanians. Hundreds of thousands of refugees fled to Albania, Macedonia and Montenegro, with half a million arriving in Albania. After 11 weeks of NATO bombing, Milosevic was forced to withdraw his troops and police, some 750,000 Albanian refugees returned home and about 100,000 Serbs—roughly half Kosovo’s Serb population—fled. The UN helped broker a ceasefire, but the matter of Kosovo’s independence was not resolved. In 2008, Kosovo’s parliament voted to declare the government’s independence from Serbia, setting off protests by Serbs and producing new concerns over violence in the region. Albania’s government expressed public support for Kosovo’s move. Fatos Nano, chairman of the Socialist Party, became prime minister in July of 2002. That same month, Democrat Alfred Moisiu was sworn in as president. His election marked a kind of truce between Socialist and Democratic leaders, who agreed to work together using established parliamentary procedures. It resulted in a period of relative peace, although it didn’t last long. In 2003, political infighting halted progress on economic and political reforms. In 2005, the Democratic Party and its allies returned to power, with their leader, Sali Berisha, sworn in as prime minister on September 11, 2005. Although tensions over elections continued to plague Albania, the February 2007 local elections were generally peaceful and democratic. On March 11, 2007, the electoral process was tested again, as left-wing opposition parties withdrew their commissioners from the polling stations and the counting center, in spite of prior concessions from the Central Elections Commission (CEC) to the opposition’s demands. But most citizens were able to vote, and only one instance of violence was reported. Still, many called for further electoral reforms. On July 20, 2007, Bamir Topi was elected president after six members of the opposition coalition broke ranks to vote for his candidacy. Topi succeeded President Alfred Moisiu for a five-year term. In 2001, the first national census in 12 years found that the population of Albania had decreased by 3%, largely because of emigration. Albanians only began arriving in the US during the last decades of the 19th Century, either to avoid conscription in the Ottoman army or to find work. Prior to World War I, most Albanian immigrants were young, illiterate males, who worked in factories around Boston and lived in communal barracks so they could save money to send home. As more women and families arrived, especially in the wake of the Communist takeover in 1944, permanent communities began to form in the Bronx and around Massachusetts. The fall of the Communist state in 1991 opened the floodgates for immigrants. The 1990 US Census counted only 47,710 Albanians, less than half the current population. Many more arrived in 1999, when the US granted legal alien status to 20,000 Kosovar refugees. The largest number of Albanians reside in New York (32,428), followed by Michigan (15,343), Massachusetts (10,594), New Jersey (7,336), Illinois (6,424) and California (3,670). Since FY 1991, the US has provided Albania with more than $616 million in assistance, not counting US Department of Agriculture food aid. Albania was also among the first countries selected to participate in the Threshold Program under President George W, Bush’s Millennium Challenge Account, with a grant of $13.8 million. In September 2006, Albania began implementation of the program, targeting corruption and rule of law issues. In 2007, the US gave $21.1 million to Albania under the Support for East European Democracy (SEED) Act program. Albania has also assisted the US in fighting terrorism by freezing assets, shutting down NGOs with possible links to terrorism, and providing military and diplomatic support for the US-led military actions in Afghanistan and Iraq. According to the 2000 US census, 13,661 identified themselves as Albanian. Among the most famous Albanian-Americans are John and James Belushi and Nobel Prize-winning physician Ferid Murad. Tourism to Albania has grown significantly every year since 2002, when 14,037 Americans went to Albania. In 2006, 36,057 Americans visited Albania, while 4,850 Albanians visited the US. The number of Albanian tourists has fluctuated between a low of 4,101 (2003) and a high of 5,986 (2005). According to a list compiled in April 1998 by the Bureau of Consular Affairs, there are 1,200 Americans living in the Tirana, Albania. Primary imports from Albania to the US include “teas, spices and preparations” ($3.7 million in 2007) and “footwear of leather, rubber, or other materials” ($3.2 million in 2007). However, several areas have experienced sharp increases or decreases in the past few years. For example, imports of “liquified petroleum gases” (sic) decreased from $26.1 million in 2005, to $11.4 million in 2006, and fell to $0 in 2007. “Woodworking, glass working, plastic and rubber” decreased from $1 million in 2004 to $0 in 2007. Telecommunications equipment was as high as $1.2 million in 2005, but fell to $0 in 2007. Two import areas have enjoyed increases: “numismatic coins” increased from $196,000 to $308,000 from 2006 to 2007, and “apparel and household goods-cotton” increased from $294,000 to $697,000 during this same time. US exports to Albania fared better in some areas and worse in others, from 2006 to 2007. Corn, which been at $17,000 was up to $1.6 million. Iron and steel mill products saw an increase from $590,000 to $910,000. “Photo, service industry machinery” increased from $218,000 to $2.4 million. Telecommunications equipment increased from $1.8 million to $3.2 million. Passenger cars increased from $280,000 to $1 million, and “trucks, buses and special purpose vehicles” increased from $92,000 to $2 million. “Metalworking machine tools” also increased, from $27,000 to $1.1 million. On the decline were “petroleum products, other,” which decreased from $137,000 to $31,000, “iron and steel products, other,” which declined from $870,000 to $230,000, and “drilling and oilfield equipment,” which decreased from $3.4 million to $603,000. In April 2006, Albania signed a $13.9 million two-year threshold program with the Millennium Challenge Corporation (MCC) (PDF). The program aims to reduce corruption in three areas: tax policy and administration, public procurement, and business registrations. The US provided $4,100 of defense articles and services to Albania in 2007 and provided $26.7 million in aid the same year. The 2007 budget allocated the most funds to Stabilization Operations and Security Sector Reform ($7.7 million), Good Governance ($3 million), Rule of Law and Human Rights ($2.5 million), and Private Sector Competitiveness ($2.2 million). In 2008, the US gave $21.8 million in aid to Albania and will give $25 million in 2009. The 2009 budget request will distribute the most aid to Stabilization Operations and Security Sector Reform ($9 million), Good Governance ($2.8 million), Rule of Law and Human Rights ($2.6 million), Private Sector Competitiveness ($2.5 million), and Health ($2.5 million). Social spending concentrates on fighting corruption and assisting Albania in its hopes of joining the EU, while military spending funds Albania’s participation in Iraq and Afghanistan. Albania was invited to accession talks with NATO in April 2008. On March 15, 2008, a series of explosions killed 5 people and injured 250 near the capital city of Tirana. The Albanian government said the explosions did not seem to be intentionally set, but occurred when a team of workers tried to dismantle a stockpile of munitions, some of which were 50 years old. An American company, Southern Ammunition Co. Inc., based in South Carolina and funded by a $30 million grant from the US government, was supervising the program to dismantle 6,000 metric tons of munitions. The company denied any involvement in the incident. Albania’s defense minister, Fatmir Mediu, quit his job two days later in the fallout over the deaths, which eventually rose to 26. Authorities said the explosions were caused by botched safety procedures. Albania has contracted with the US-Turkish Bechtel-Enka group to build a two-bore tunnel, Albania’s first, along the most difficult section of a new highway linking the country to Kosovo, a predominantly Albanian region in neighboring Serbia. However, the project has become controversial because many believe the construction has more to do with dreams of achieving a “Greater Albania” and creating profits for members of the government than creating any tangible economic benefits for the population as a whole. Many ethnic Albanians from Kosovo brave the old mountain road to come to Albania’s beaches, bringing in around $70 million in tourist dollars. The Committee for National Reconciliation, a nongovernmental organization, continued to cite high levels of violence involving more than 1,000 families imprisoned in their homes for fear of blood feud reprisals against them. In prisons, the police and prison guards sometimes beat and abused suspects and detainees. The Albanian Helsinki Committee (AHC) and the Albanian Human Rights Group (AHRG) reported that police sometimes used excessive force or inhumane treatment. According to the AHRG, most mistreatment took place at the time of arrest or initial detention. Roma, Balkan-Egyptians, and homosexuals were particularly vulnerable to police abuse. The Council of Europe’s Committee for the Prevention of Torture published a report based on its 2006 inspection of the country’s prisons and detention centers. The report detailed widespread inhuman treatment and physical abuse of prisoners and detainees and indicated that little progress had been made in implementing longstanding recommendations. As in past years, the police sometimes used threats, violence, and torture to extract confessions from minors. The government did allow independent monitoring of prison conditions by local and international human rights groups, the media, and others. However, prison conditions have not met international standards. In one inspection, the AHC found some improvements, but overall conditions remained poor. The committee noted serious problems with hygiene, overcrowding, air quality, insufficient resources, and access to medical care. The General Directorate of Prisons acknowledged that physical abuse of prisoners and corruption of prison guards and officials remained a problem. In 2006, 178 guards and officials were dismissed for corruption or misconduct and charges were pending against five high-level prison officials for corruption. The constitution and law prohibit arbitrary arrest and detention; however, there were some reports that police occasionally arbitrarily arrested and detained persons. The overall performance of law enforcement remained weak. Unprofessional behavior and corruption remained major impediments to the development of the civilian police force. Low salaries and widespread corruption throughout society make police corruption difficult to combat. Political pressure, intimidation, widespread corruption, and limited resources sometimes prevented the courts from functioning independently and efficiently. Although the right to a speedy trial is provided for under Albanian law, limited material resources, lack of space, and insufficient and overworked staff prevented the court system from adjudicating cases in a timely fashion. Long case backlogs sometimes resulted in suspects being detained for longer than legal limits. In the areas of free speech and freedom of the press, there were reports that the government and businesses exerted indirect pressure on the media. While the media was active and largely unrestrained, there were serious problems with the use of the media for political purposes. Politicization of the media remained a concern. Publishers and newspaper owners continued to dictate news stories to serve their political and economic interests and sometimes blocked stories that ran counter to those interests. There was little transparency in the financing of the media. The trafficking of children to Kosovo and Greece for begging or sexual exploitation continued to be a problem, although the number of cases reportedly declined. Police and shelter representatives continued to report a trend of females being moved from villages and smaller towns to larger cities for forced prostitution in hotels and private homes. Some of these girls and women were then moved out of Albania for sexual exploitation in other European countries. As in previous years, NGOs claimed that police targeted the homosexual community for abuse. According to the Albanian Gay and Lesbian Association, the police arbitrarily arrested homosexuals and then physically and verbally abused them while they were in detention. Amnesty International also reports that there is a widespread problem with housing in Albania and has called upon the central and municipal authorities to give adult orphans priority when it comes to the allocation of houses. Note: Legation Tirana was officially closed, Sep 16, 1939; Grant left post, Sep 27, 1939. Note: The United States resumed diplomatic relations with Albania, Mar 15, 1991. Embassy Tirana was opened Oct 1, 1991 with Christopher Hill as Chargé d'Affaires ad interim. Albania's Ambassador to the U.S.
Aleksander Sallabanda has served as Albania’s Ambassador to the United States since May 11, 2006. Sallabanda received his PhD from the University of Tirana in Albania. From 1985 to 1993, he was the head of the Microbiology Laboratory at the University of Tirana Hospital of Pulmonary Disease and TB. 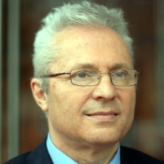 Sallabanda also served as the head of the Department of Public Health at the University of Tirana from 1994 to 1997, and worked as head of Health Policy Department for the Democratic Party of Albania from 1997 to 2005. From 2004 to 2006, Sallabanda served as a member of the Council of Municipality of Tirana, and as the head of the Health and Environmental Commission. In 2005 and 2006, he also served as Deputy Minister of Health of Albania. Albania's Embassy Web Site in the U.S.
Albania's Embassy in the U.S. The next ambassador to the Balkan nation of Albania will be a career diplomat who has spent the balance of his career working with formerly communist nations. Donald Lu was nominated by President Barack Obama on July 25, and if confirmed by the Senate as expected, he would succeed Alexander A. Arvizu, who has served in Tirana since November 10, 2010. Born circa 1966 in Huntington Beach, California, Donald Lu earned both Bachelor’s and Master’s degrees in International Relations at Princeton University in 1988 and 1991, respectively. Lu served as a Peace Corps volunteer in Sierra Leone from 1988 to 1990, where he helped to restore hand-dug water wells and taught health education and latrine construction. Joining the Foreign Service in 1990, Lu served early career foreign postings as a political officer at the consulate in Peshawar, Pakistan; as a consular officer at the embassy in Tbilisi, Georgia; and as a special assistant to Ambassador Frank Wisner and then political officer at the embassy in New Delhi, India. Lu served as special assistant to the ambassador for the Newly Independent States from 2000 to 2001, and then as deputy director for the Office of Central Asian and South Caucasus Affairs from 2001 to 2003. From 2003 to 2006, Lu was deputy chief of mission at the embassy in Bishkek, Kyrgyzstan. Lu then served as deputy chief of mission at the embassy in Baku, Azerbaijan, including a stint as the chargé d’affaires from July 2009 through July 2010, when the office of ambassador was vacant. Lu returned to India in July 2010 to serve as deputy chief of mission at the embassy in New Delhi. Lu is married to Dr. Ariel Ahart, a public health specialist. They have two children, Kipling and Aliya. Lu speaks West African Krio, Urdu, Hindi, Russian, Georgian and Azerbaijani. 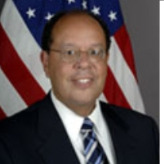 John L Withers II was confirmed as the US Ambassador to Albania since June 28, 2007. Withers is the son of former US Agency for International Development Director, John L. Withers, Sr. and spent much of his childhood overseas in Laos, Thailand, Burma, Korea, Ethiopia and Kenya. He received a BA from Harvard University in history, an MA in East Asian Studies from McGill University and a PhD from Yale University in modern Chinese history. Withers has also completed graduate-level research at Nanjing University in China and has studied Chinese, Russian, Dutch, French and Latvian. Withers served at the US Embassy at The Hague as a political officer from 1985 to 1986; in the Office of Chinese Affairs as desk officer from 1986 to 1988; and as a political officer in the US Embassy in Lagos, Nigeria from 1988 to 1990. From 1991 to 1993, Withers served as political officer at the US Embassy in Moscow and in the Office of Northern European Affairs on the Ireland and Iceland desks for a brief time in 1993. Withers served as special assistant to the Office of the Deputy Secretary from 1993 to 1996; as Deputy Chief of Mission at the US Embassy in Riga, Latvia, from 1997 to 2000; and as director of the Office of North Central European Affairs from 2001 to 2002. From 2003 to 2005, he was director of the Operations Center at the State Department.